The snowy, icy, precipitation-filled winter of 2011 is (thankfully) in the rear view, but the Battery Park City Authority is still mulling over the possibility of putting an ice rink in the region. According to Downtown Express, Community Board 1â€™s Battery Park City Ballfields Task Force met in late March to discuss alternatives. The problem is where to place the ice rink. The ball fields just north of Murray Street between West Street and North End Avenue were discussed as an option, but the skating season would be limited to a mere eight weeks, as the fields are used for soccer through November and for baseball as soon as March. Additionally, an operator would be required to build and disassemble the rink. The BPCA does not want to invest in or subsidize an ice rink. Whomever would operate it would need to find a corporate sponsor. Plans were discussed at Community Board 1 Battery Park City Committee meeting, which took place on Tuesday at 1 World Financial Center. 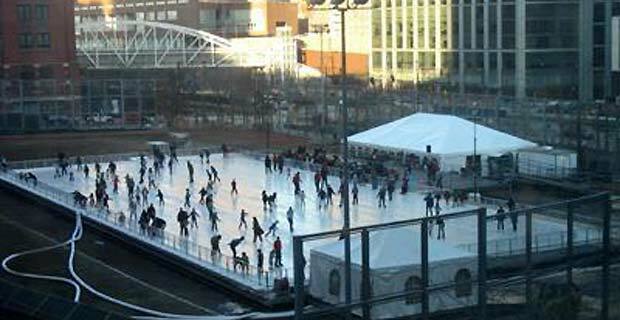 Would you like to see an ice rink in Battery Park City? The Tribeca Trib reports that Anne Compoccia, the former long-reigning chair of Community Board 1, died February 24th following a long bout with cancer. She was 62-years-old and was fondly regarded for her street-smart, tough-talking â€œNew Yawkerâ€ style. The feisty, no-nonsense Compoccia, who went toe-to-toe with suits and politicians, is also credited with helping to bring about the Manhattan Youthâ€™s Downtown ComÂ­Â­munity Center and fostered the communityâ€™s use of Tribecaâ€™s Pier 25 — thanks to her support of these projects. Compoccia also founded the Little Italy Chamber of Commerce. Compoccia, who lived alone for much of her life, was not perfect, however. She was arrested in 2000 for embezzling $85,000 in city funds relating to the Mulberry Street Mall. She resigned from her post as the chair of the CB1 when investigations into her dealings began. She served a 10-month sentence relating to these activities in a Brooklyn halfway house and took a community service job in a Manhattan hotel for homeless people afflicted with AIDS. Once she completed her sentence, she remained with the hotel in the role of paid supervisor. Were you familiar with Compocciaâ€™s colorful life story before she passed? 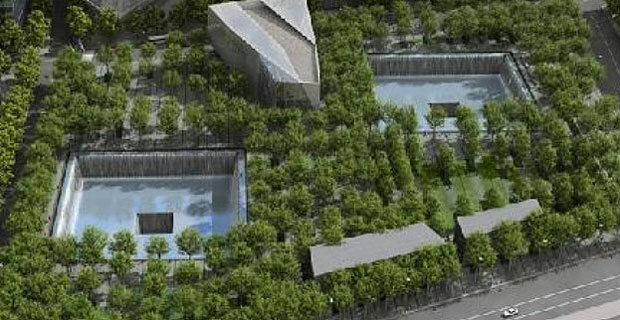 After clearing a vote against landmark status for 45-47 Park Place, another hurdle has emerged concerning the development of what has been dubbed “The Ground Zero Mosque” or the Park51 Mosque. The mosque which is slated to be located at 45-51 Park Place, built on two parcels of land, is only half owned by the developers spearheading the project according to the NY Post which first broke the report over the weekend. The building at 45-47 Park Place, which had been undergoing landmark status hearings is owned by Soho Properties, the developers of Park51 — whilst the building at 49-51 Park Place is not. Park51 is named after the address 51 Park Place, the address in scrutiny. More surprisingly, the owner of the other parcel of land is actually Con Edison. This information took even Community Board 1 proponents by surprise who had not heard of this revelation through its own hearings. 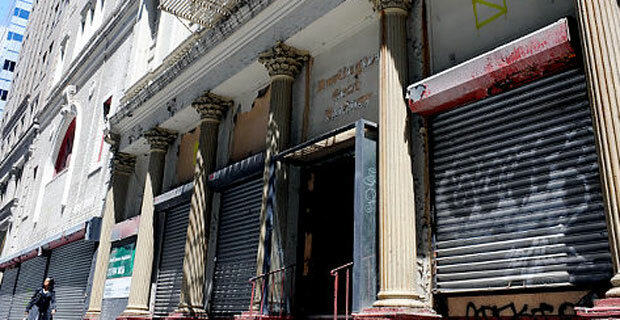 According to the article, “Sharif El-Gamal, the head of Soho Properties, first came forward in 2006 seeking to buy the empty building at 45-47 Park Place, said Melvin Pomerantz, whose family owned the property. The discrepancy emerged because the two buildings were connected years ago, as it housed a former Burlington Coat Factory and was generally assumed ownership for that entire parcel was under one ownership, without the Community Board #1’s knowledge that Soho Properties would be developing half of the site under paying a $33K a month lease to Con Ed. Con Ed is appraising the property for a potential sale, “The utility is now doing an appraisal to determine the property value, and it would be up to El-Gamal to decide whether to accept the price, the utility said. The price is estimated at $10 million to $20 million. â€œWe are following our legal obligations under the lease. We will not allow other considerations to enter into this transaction,â€ Con Ed said. The sale proposal will go to the Public Service Commission, where it could possibly face a vote by a five-member board controlled by Gov. Paterson,” according to the same article. Do you think that this will be a significant hurdle for the Park51 Mosque?